Greetings, Groove-ophiles! It's SWORD AND SORCERY WEEK, and what better way to kick it off than with another timeless tale featuring Travis Morgan aka The Warlord! 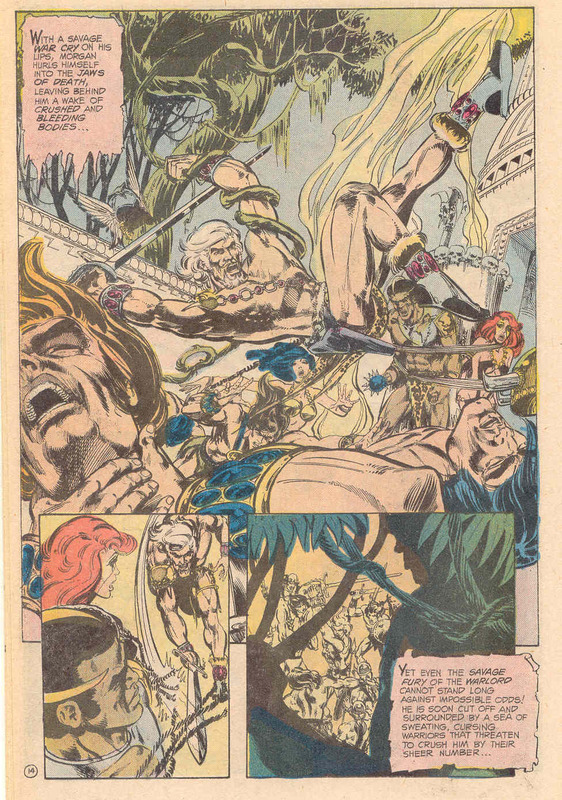 This time, Travis, Mariah, and Machiste are in for one whopper of a violent version of Beauty and the Beast! 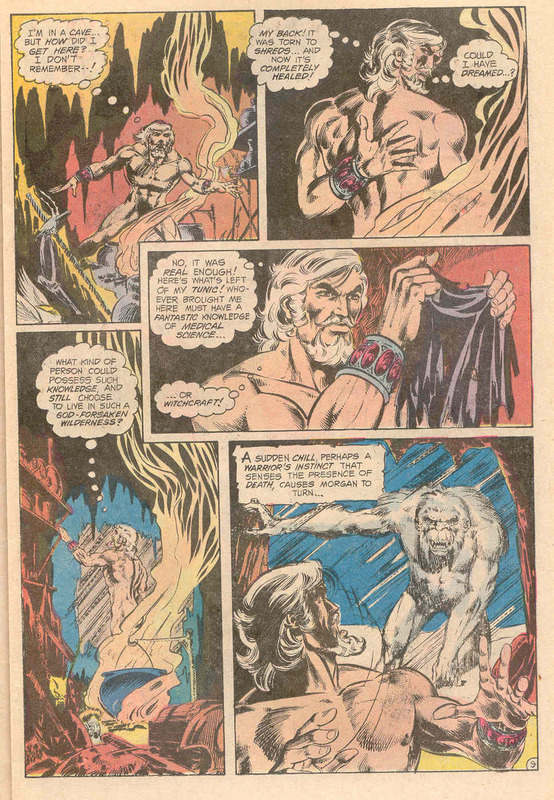 Not only that, but this is the issue in which Travis gets his loin-cloth outfit (but only after he spends a couple'a pages fighting a Sasquatch-type character in the buff --both of 'em, actually, but the Big Foot at least has plenty of fur)! 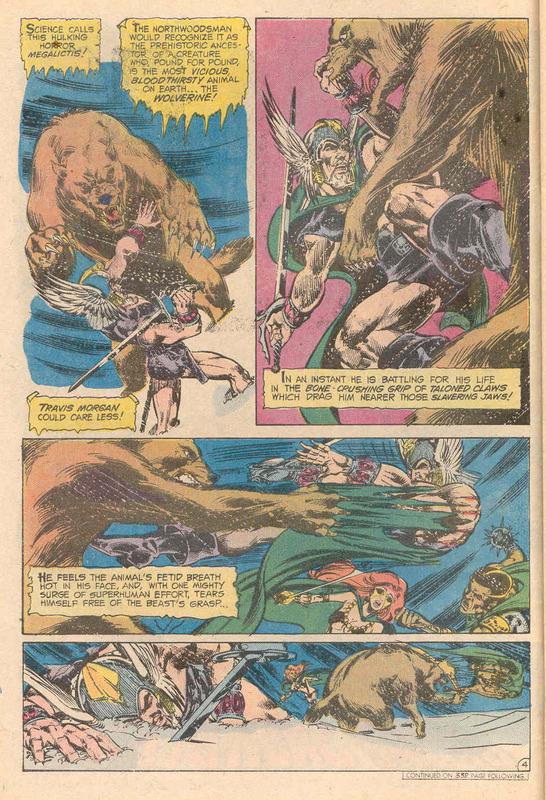 It's an action-epic with heart, and more of Iron Mike Grell's ground-breaking storytelling style! 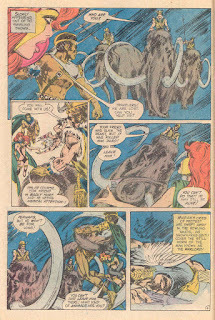 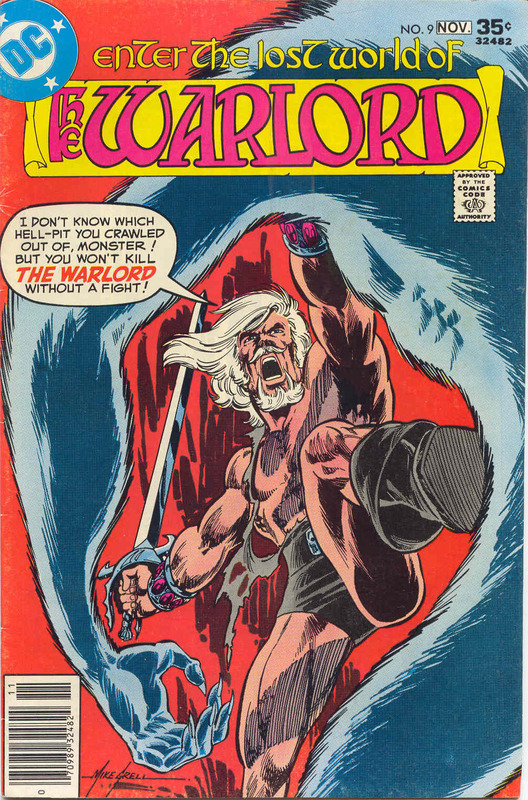 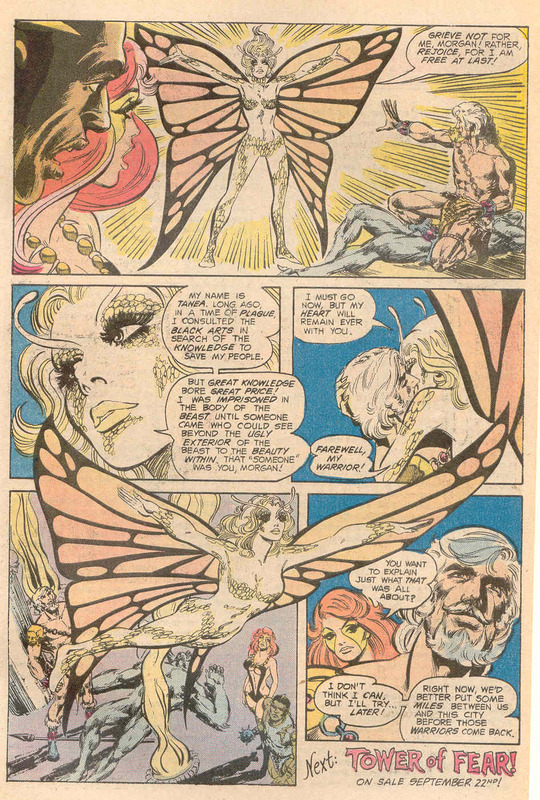 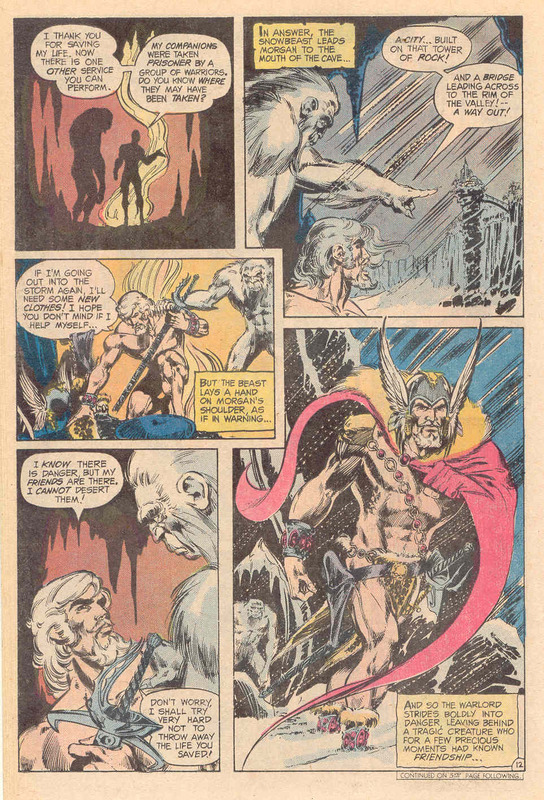 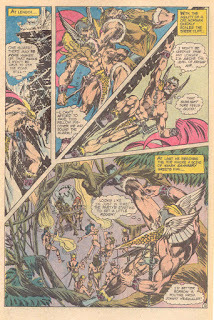 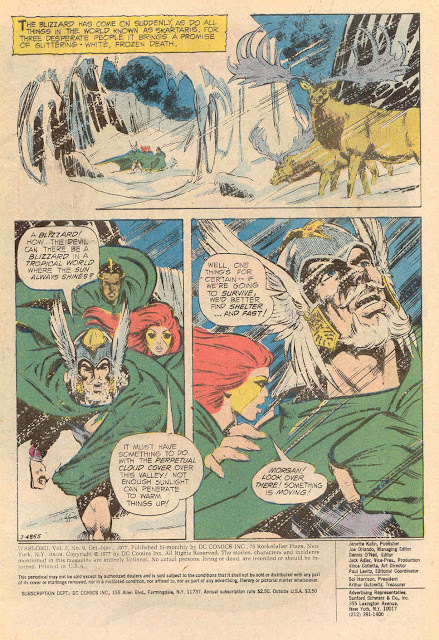 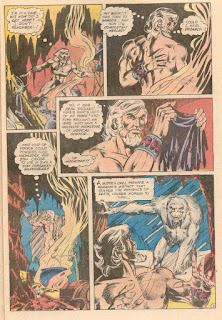 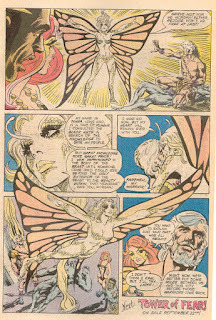 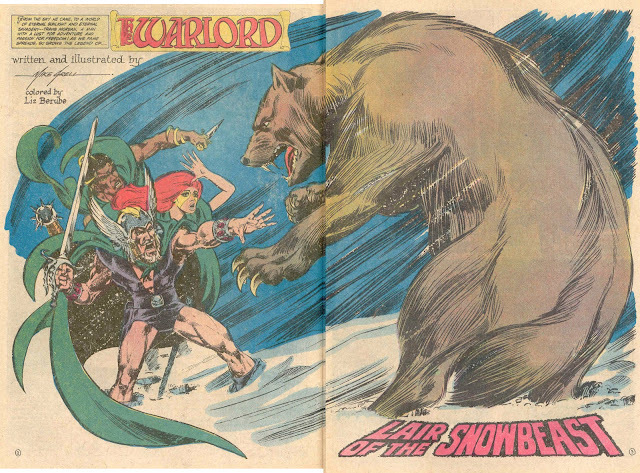 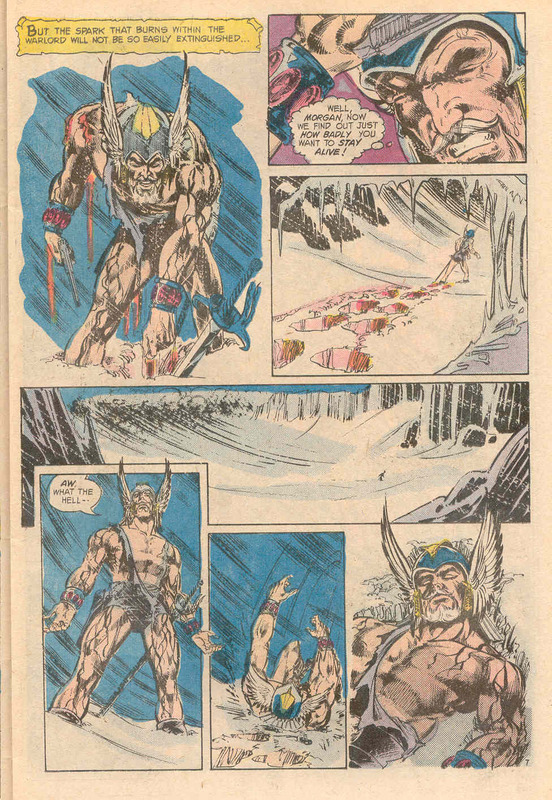 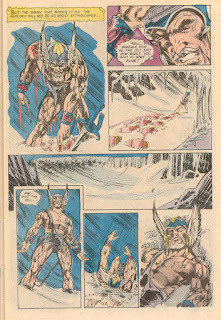 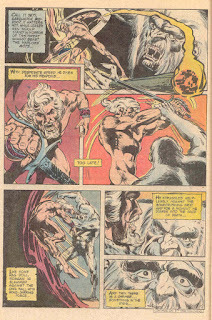 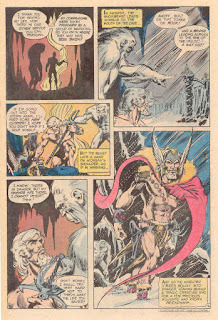 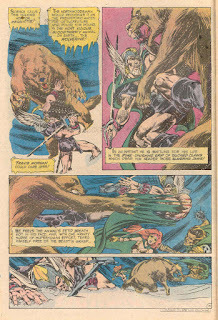 Go back with us to Warlord #9 (July 1977) to visit the..."Lair of the Snowbeast"!